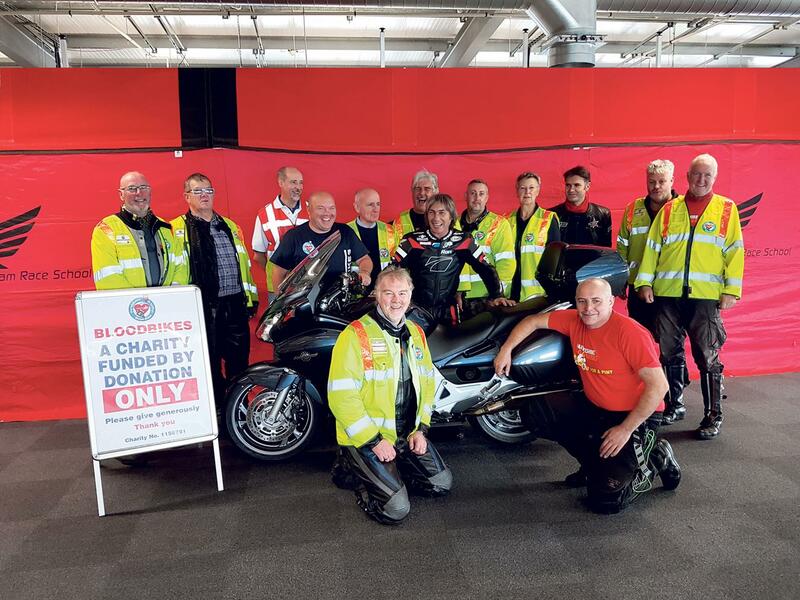 Warwickshire and Solihull Blood Bikes are facing closure after an NHS Trust has replaced their free service with a transport contract to a private company. The deal awarded to QE Facilities, estimated to be worth £14 million, covers the same geographical area as WSBB’s services, effectively rendering them redundant. WSBB Hospital Liaison Officer Martin Williams told MCN that the group was "Saddened and disappointed" by the trust’s decision. "Since we started in 2012, we’ve transported over 7000 samples saving the NHS nearly £700,000. More frustrating still is that QE’s contract began in October 2018 so we’ve been making deliveries voluntarily for nearly six months while they’ve been paid. "We’ve got hundreds of volunteers that give up their time because they enjoy riding their bikes and want to save lives. We’re still committed to working with the Air Ambulance but this decision may make that more difficult. We’re hoping to continue by doing milk runs, relay runs and offering help to out-of-hours GP surgeries." Responding, a University Hospitals Coventry and Warwickshire NHS trust spokesman said: "The Coventry and Warwickshire Pathology Service (CWPS) serves 1.6 million patients, four acute hospitals, nine Clinical Commissioning Groups and more than 250 GP practices. The transport service was previously delivered by a wide range of suppliers, with some contracted through CWPS and others through third party organisations. "With complexities increasing and the service potentially expanding to cover areas such as Hereford and Worcester, a decision was made to standardise delivery to ensure current and future needs, as well as stringent UK accreditation requirements, are met and exceeded. "In line with public sector procurement regulations, we went out to open tender and supplier days, which were held to inform organisations of our requirements." The Trust says they offered to continue working with WSBB until June but WSBB opted to withdraw the service from April 1. The Trust also said that WSBB transported 1000 samples a year – just 0.01% of the total received by CWPS.